Why Opt For A Serviced Apartment For Your Upcoming Business Trip To London? Hundreds and thousands of corporate travellers come to London every day for business meetings, trade shows, exhibitions and other corporate events. Most of them choose hotels without realising the fabulous benefits that staying at one of Carlton Court’s serviced apartments offer. We offer all the indulgences of a hotel, along with an authentic home experience. 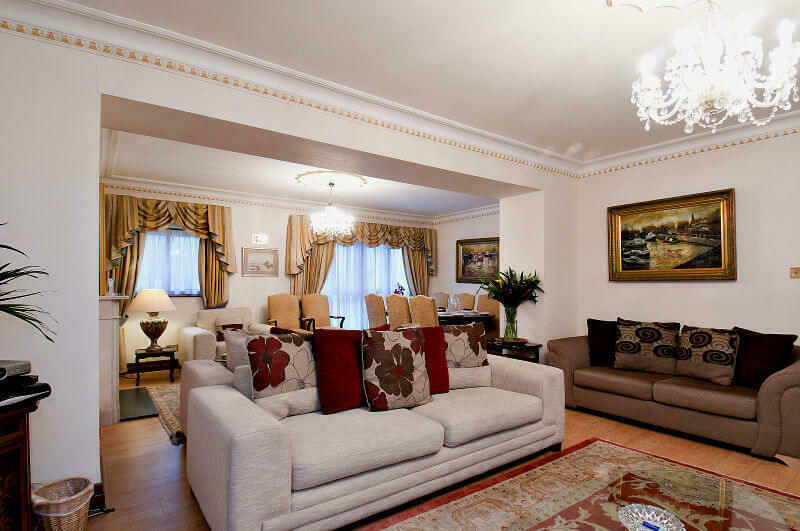 Read on to find out why you should rent one of luxurious serviced apartments. Our serviced apartments are a wonderful alternative to a hotel, irrespective of your budget and needs. Located in Mayfair, our apartments offer personal touches and not a run-of-the-mill, impersonal hotel experience. Our apartments offer you ample space to unwind after a strenuous meeting, be it in the living room in front of the TV or in the dining room with delicious food. If you are on a business trip, or arriving with your family for a short break, we can make the necessary arrangements for a comfortable stay. For any other requirements, you can call our around-the-clock help desk. Our London serviced apartments Mayfair are a fantastic retreat for corporate travellers looking to stay for a week or 6 months. All of our flats are furnished with fully-integrated kitchens, LCD TVs, music systems, Free Wi-Fi and much more. Settling in to your apartment will not be a problem because we make sure that you feel welcomed the moment you step through the door. As soon as you enter your apartment, you will be greeted with a Welcome Pack containing fruits, flowers, drinks and chocolates. We will also provide complimentary breakfast throughout the duration of your stay so that your day always starts with a healthy and nutritious meal. Why not check out our flats and feel free to get in touch with us to find out about our competitive tariffs.